Originally posted by the Las Vegas Review-Journal here. Posthumously, Vinnie Paul headlined Las Vegas a final time Sunday night. 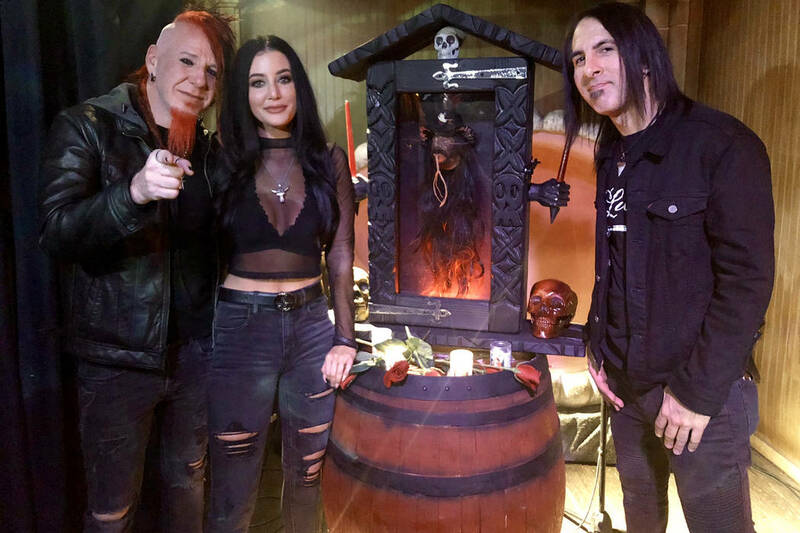 The co-founder of Pantera and Hellyeah and a Vegas resident was honored that evening with a shrine at The Golden Tiki. The glass case showcases the shrunken head the club dedicated to Paul a little more than a year before his death on June 22. Not surprisingly, the place was jammed for late-night session. Paul was enormously popular on the local entertainment scene and was known to hit the town routinely to catch live music, comedy, magic — any variety of entertainment. Paul loved talent in all of its forms. Fittingly, the night drew members of Hellyeah and such luminaries as Carrot Top and Tony Felicetta of Dino & The Sharps (who emceed the event). Topper has always been grateful for Paul’s repeated visits to his show at Luxor over the years— more than 100 by Paul’s own count. The hard-rock legend will continue to be memorialized near the entrance of The Golden Tiki, one of his favorite haunts. Pantera Holiday merch is live in our online store.